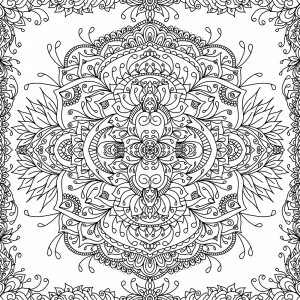 I found time to squeeze in another colouring page for all you lovely colourists 🙂 It’s another tiled pattern. I drew just the square in the middle, and it tiles seamlessly over and over. 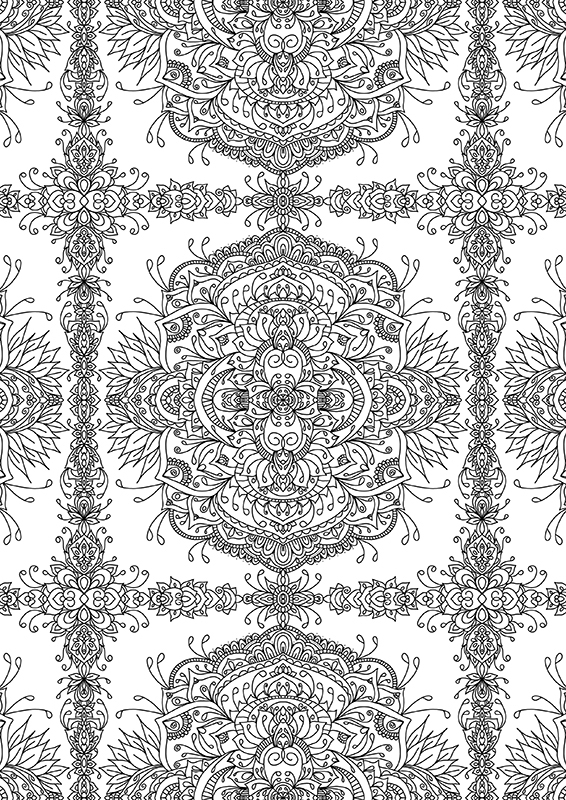 And here’s the colouring page I assembled from it!